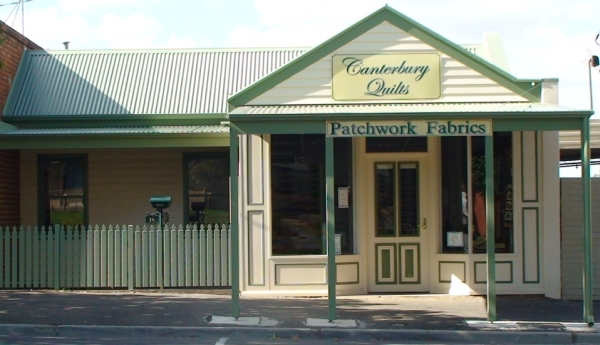 Canterbury Quilts is a specialist long arm quilting and patchwork fabric store located in Eaglehawk, an historical township near Bendigo, Victoria, Australia. Friendly service and helpful advice is free! If you're ever in the area, feel free to drop in and have a chat about your patchwork and quilting needs. Click on the Facebook logo on the bottom of the left menu to go to our Facebook page. We use Facebook to post information about new stock arrivals, and also announce sales! Make sure you follow and subscribe to keep up to date with all the latest information. Have a browse through the Clearance section for $8/m clearance bolts, end of bolt pieces, and accessories. The stock for our online store is kept up to date automatically. You can shop here with confidence, knowing the displayed stock counts are up to date and accurate.